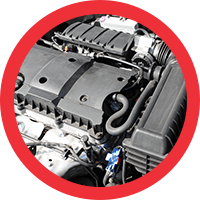 An automotive service facility dedicated to providing complete and professional automotive care. 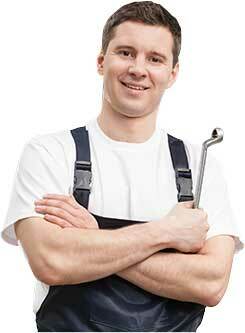 It is our goal to offer Woodstock residents the best in automotive service and repair. Established in 1983, a strong commitment to exceeding client expectations has been the key to our success. But don't just take our word for it; you can click on the 'testimonials' link to see what our customers have to say about us! 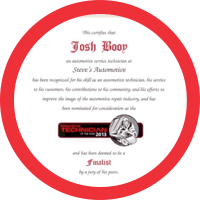 Steve's Automotive is excited to announce that Josh Booy has been deemed to be a finalist for Canadian Technician of the Year award for 2013! 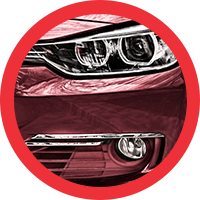 Visit Steve's Automotive for a professional, no obligation diagnosis. Our diagnostics are always guaranteed. With our new ‘Everyday Low Pricing’ on all tires, our prices are actually lower than Costco. That’s right: We Beat Costco Pricing! Relax – we’re going to look after you. 1. 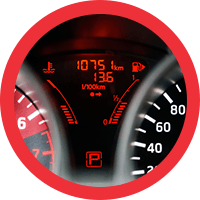 Our parts come with a minimum 1 year 20,000 km warranty. In fact, most of the parts we install come with a 3 year warranty!